MyEvent.com the leading provider of do it yourself event websites is proud to announce they are now making fully customized website designs and solutions for businesses and non-profits. "MyEvent.com has a great online fundraising solution and they are great to work with". MyEvent.com, a pioneer of do it yourself event websites, announced today the launch of a new custom division that is making custom website solutions for businesses and non-profits. According to Rob Hirscheimer the company's President the demand came from their customers. "Some of our client's required something beyond what a template could provide. We were being asked for fully branded solutions that were totally customized. Many organizations also require custom programming to handle more complex ecommerce, registration and reporting". The company is able to use their existing infrastructure that they built for their DIY website clients. 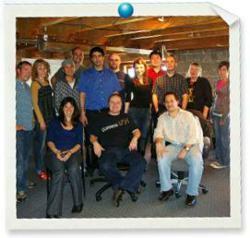 They have a complete suite of ecommerce and fundraising tools that they have developed for the last 10 years. All of their custom websites are enabled to accept payments for online ticket sales, online donations, online auctions and personal fundraising pages. They also have a team of web designers and developers in house that can handle any custom design and special programming requests. Jill Pavel the director of national events for the Wish Upon a Hero foundation was a long time client of MyEvent.com. She used their do it yourself fundraising website builder for several events she organized for various non profit organizations. She needed something more robust that could handle national registration and a website design that did not look like a template. Pavel said "the team at MyEvent.com created a great custom website for us for our event that will take place in November 2012. Healthyheroday.org allows people to register and fundraise across the country. They also created a content management system that allows us to manage the thousands of locations that will take part in the event". Jason Katz, founder and President of Atmosphere Event Communications has collaborated with MyEvent.com on many occasions to design custom fundraising websites for their corporate CSR client projects. Mr. Katz states that "the need for a more robust do it yourself site is imperative in corporate applications in order to create a relevant brand experience with the user. According to Mr. Katz "MyEvent.com has a great online fundraising solution and would recommend them to other planners across the globe". Fred Smith, executive director of Smithfest.com has used MyEvent.com for 2 years for their event which is billed as the world's largest charity scavenger hunt. In previous years they used MyEvent's do it yourself website builder but this year they wanted some special functionality and a look and feel that would mirror their main website. Mr. Smith said "MyEvent.com provided us with a custom website smithfesthunt.com that gave us everything we need to run a great event." Jon Kaufman a volunteer from the Peninsula Sunrise Rotary of Redwood City California was looking for a company that could give their organization a website that could sell tickets online and accept donations and sponsorships. Jon said "MyEvent was able to take our creatives and bring it to life with a great website H2opendoors.org that is enabled with the ecommerce solutions we needed". According to Mark Goldenberg Vice President, the new custom website division allows MyEvent.com to target non-profits and companies that are doing fundraising. "We are one of the only vertically integrated resources for those who need a website for their organization and a built-in ecommerce solution to help them bring their fundraising online". MyEvent.com is uniquely positioned as a website design and hosting company that has built-in ecommerce solutions, for tickets, donations, fundraising pages, online auctions, sponsor pages, registration and hosting. Their integrated payment processing solution makes them a one stop shop for any kind of event website. In addition to their vast array of pre-made tools they can customize any kind of solution that a client may require. The company has an excellent customer support staff that is available 7 days a week and a 10 year track record of being in business online.